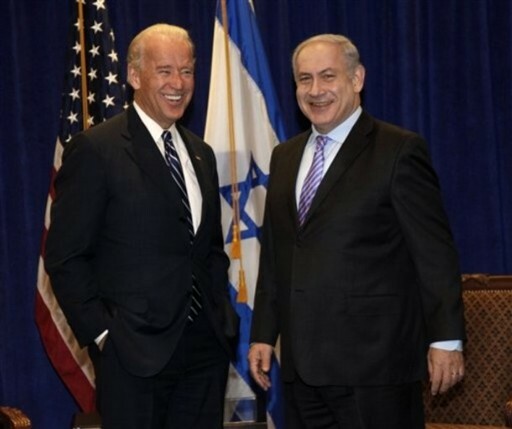 November 8, 2010 (KATAKAMI/ YNET) — A meeting between Prime Minister Benjamin Netanyahu and US Vice President Joe Biden ended late Sunday night in New Orleans. 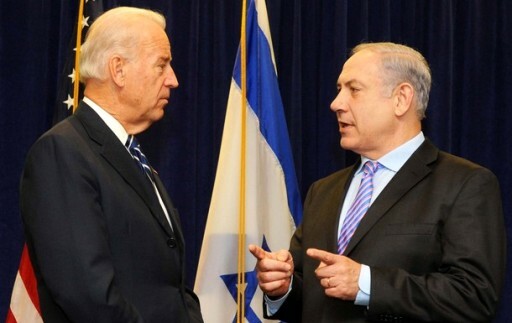 The two discussed Israel’s desire to provide a credible threat against Iran. Prime Minister Benjamin Netanyahu meets with U.S. VP Joe Biden on sidelines of Jewish General Assembly in New Orleans; says that Palestinians must be stopped from taking unilateral action to establish a state. November 08, 2010. 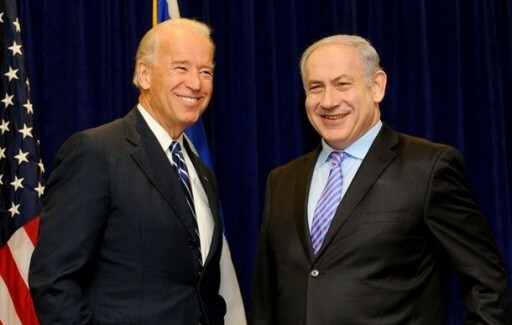 NEW ORLEANS (KATAKAMI / HAARETZ) — Prime Minister Benjamin Netanyahu met with U.S. Vice President Joe Biden on Sunday night to discuss Iran and the peace process with the Palestinians, beyond the immediate question of the settlement construction freeze, sources said Sunday. They said the two leaders addressed what must be done so that the peace process will move forward, including security arrangements needed. Netanyahu said there must be an agreement that is not forced on the parties from above and that the Palestinians must not attempt to circumvent negotiations by declaring statehood through the United Nations, the sources said. 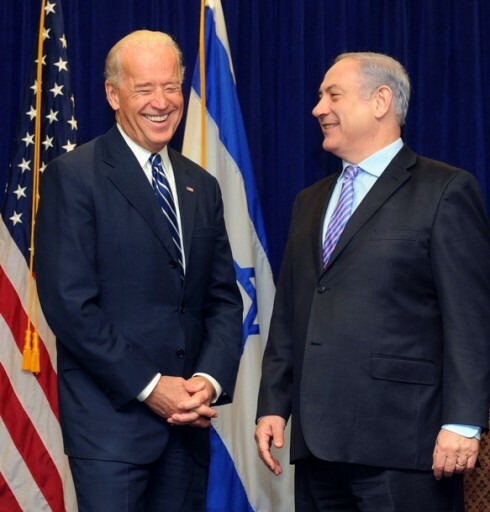 Netanyahu and Biden were speaking on the sidelines of the Jewish Federations of North America’s annual General Assembly convention, held in New Orleans this year. The sources said Netanyahu spoke about the need to get Arab countries involved in the Israeli-Palestinian peace process, because that will give Israel a security buffer and political backing. Netanyahu denies that there is a rift between Israel and the United States, or between Israelis and American Jews, according to the sources. He reportedly said that the U.S. Congress was positive toward Israel before the November 2 midterm elections and will be positive toward Israel afterward as well. He said there is also fundamental support for Israel within the United States, saying, “We may have lost Thomas Friedman, but I don’t think we lost America,” according to the sources. As in the past, Netanyahu said that Israel has done enough to prove that it is serious, while the Palestinians have not taken any steps to demonstrate their seriousness about peace, the sources said. Participants in the GA who listened to local radio in New Orleans on Sunday could have heard Scott Sekulow, a Messianic Christian who was born Jewish and calls himself a rabbi, who praised Netanyahu, enthused over Foreign Minister Avigdor Lieberman for standing up to the Europeans, and declared that the Palestinian refusal to recognize Israel as a Jewish state shows that they don’t have peaceful intentions. Sekulow is raising money to plant 1,000 trees in the Golan Heights to replace trees that he said were destroyed by Katyusha rockets during the Second Lebanon War in 2006. Amidst the conference hotels straddling Canal Street where GA sessions are being held, the 4,000 Jewish leaders and activists have also confronted a less-than-friendly welcome from a group of demonstrators holding placards accusing Jews of killing Jesus and anti-Semitic chants referring to the theft of private investor money by convicted Ponzi scheme operator Bernard Madoff. One demonstrator wore an apron made of a blood-stained Israeli flag. The GA participants didn’t seem overly upset by the spectacle and mounted police were on hand to maintain order. The results of this month’s American midterm elections were the grist for hallway conversation at the GA, and there were also a number of people who asserted that Jewish life in the United States could not be reduced to the tenor of relations between the Prime Minister’s Office and the White House. Incentives for settlement freeze likely on agenda as Netanyahu heads for U.S.
Netanyahu envoy arrived in Washington earlier this week to meet chief Palestinian negotiator on ways to renew negotiations. November 07, 2010 (KATAKAMI/ HAARETZ) — Prime Minister Benjamin Netanyahu was due to leave for the United States Saturday night to address the Jewish Federations’ General Assembly in New Orleans. Netanyahu will not be meeting President Barack Obama, who is in India, but he will meet with Vice President Joe Biden and Secretary of State Hillary Clinton. The Americans are expected to tell Netanyahu that their package of diplomatic and security incentives is still on the table if he agrees to renew the freeze on construction in the settlements. Netanyahu’s flight to the U.S. reportedly cost the state more than $1 million, because it is a direct flight from Ben-Gurion International Airport to New Orleans. El Al was selected to fly the prime minister without a tender. The administration’s involvement in the Middle East peace process has been almost nil in recent weeks as they attempted to shore up support at home ahead of last week’s midterm elections. However, Netanyahu’s envoy Isaac Molho arrived in Washington three days ago for a meeting with chief Palestinian negotiator Saeb Erekat on ways to renew negotiations and possibility of refreezing construction in the settlements. Molho made no progress, but Erekat and the Americans agreed that the Palestinians would wait until the end of November before making another move, such as approaching the UN Security Council with a demand to recognize a Palestinian state within the 1967 borders. Palestinian Authority President Mahmoud Abbas’ spokesman Nabil Abu-Rudeina, told Agence France Presse that the Palestinians had given the Americans another three weeks to reach understandings with Israel. If no agreement was forthcoming by that time, they would approach the Security Council. Senior American officials, who asked to remain anonymous because of the issue’s sensitivity, told Haaretz at the end of the week that during Netanyahu’s visit another attempt would be made to address the construction freeze gambit. “Talks with Molho were serious although no solution was found, and we are still trying,” an official said. The incentive package the Americans offered Israel two months ago includes advanced fighter planes and other security aid, as well as guarantees of a U.S. veto of any attempt at a unilateral Palestinian declaration of statehood in the Security Council in the coming year. Although the Americans are reportedly angry at Netanyahu’s refusal to restart the freeze, they apparently do not want to clash with him at this time. 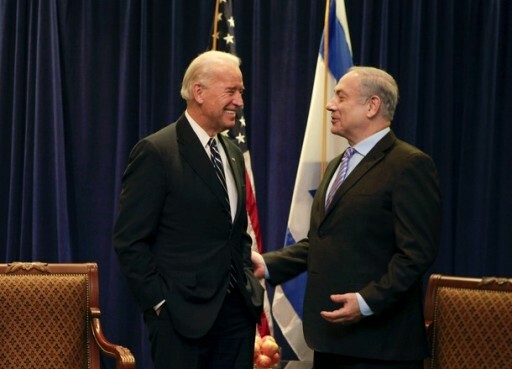 Both Biden and Clinton are expected to press Netanyahu into renewing the freeze and show willingness to move ahead on the issue of borders, but will not accuse him of responsibility for the impasse. Netanyahu did not convene the forum of seven senior ministers before he left, but spoke with some of them individually. 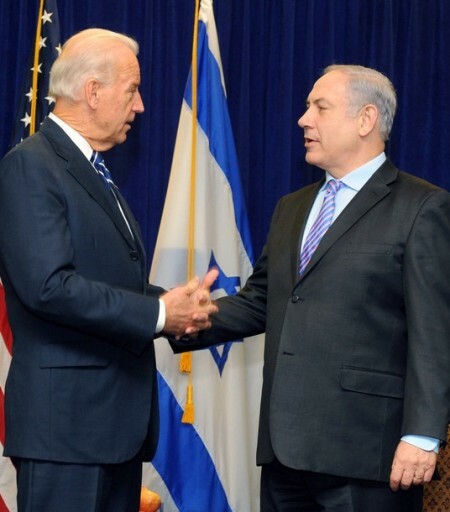 He will be meeting this evening at 8 P.M. Israel time with Biden, who will also be addressing the general assembly. Netanyahu will leave for New York immediately after his address to the GA tomorrow, to meet with U.N. Secretary General Ban Ki-moon. On Wednesday and Thursday, Netanyahu will meet with senior American economists, industrialists, Jewish leaders and with U.S. Middle East envoy George Mitchell. He will also give a number of television interviews. 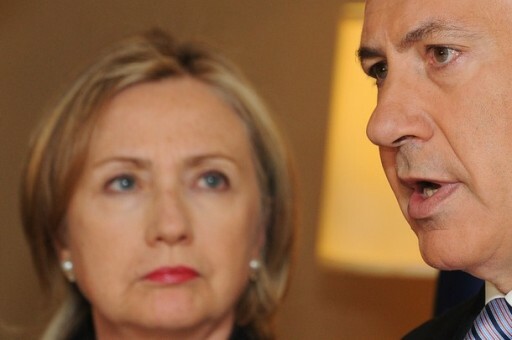 On Thursday, Netanyahu is to meet with Clinton. Defense Minister Ehud Barak, Minority Affairs Minister Avishay Braverman and opposition leader MK Tzipi Livni (Kadima ) will also be attending the GA.
On Tuesday, Egyptian intelligence chief Omar Suleiman and Foreign Minister Ahmed Aboul Gheit will come to Washington, following separate visits to Ramallah and Tel Aviv over the past 10 days. The Egyptians, who are working to help Washington restart direct talks between Israel and the Palestinians, are pressuring both sides. The Egyptian leaders will meet with Clinton a day before she meets with Netanyahu. Washington think tanks have been discussing the best way for Obama to reach a breakthrough. David Makovsky, of the Washington Institute for Near East Policy said in a speech last week that if Israel wants to avoid a U.S. accusation of responsibility for an impasse with the Palestinians, Netanyahu should change his coalition and include Kadima.